Camera Review : Nikon has released the most awaited D850, replacing the brilliant 36.3MP D810 on August 24th 2017. There are plenty of specifications in D850 which are sure to impress the photographers. The overall resolution goes from 36MP in the D810 to 45.7MP in the new D850. Nikon is also using a backside illuminated sensor, making for easier and more efficient capturing of all those little photons – and more importantly, increasing readout speed. 4K UHD, 30, 25, 24fps video recording is possible, using the full-frame of the sensor. It's also possible to output uncompressed video to an external recorder or monitor. You can record slow motion video giving 4 or 5x slower playback, at FullHD resolution up to 120fps. 4K time-lapse video creation is possible in camera, with 8K time-lapse creation possible using images from the camera. Battery life is rated at 1840 shots according to Nikon test results, which is excellent. You can increase this to over 5000 shots with the optional battery grip. 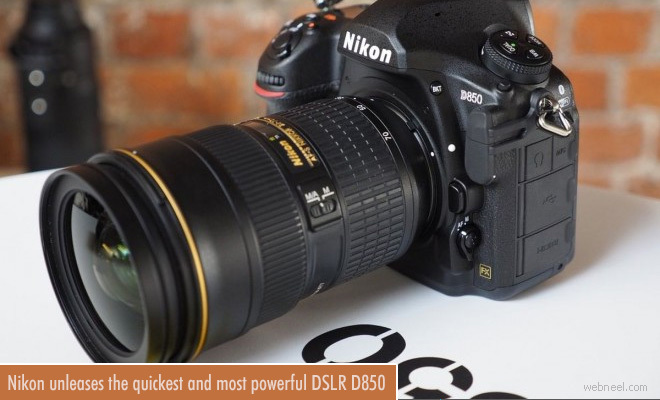 The Nikon D850 has all the excellent featured required for a DSLR, whether it is high resolution images, or high speed shooting. With the BSI CMOS sensor the camera delivers 45.7mp images. The Nikon D850 is available for £3499 body only, which makes it quite a big price increase over the D810.